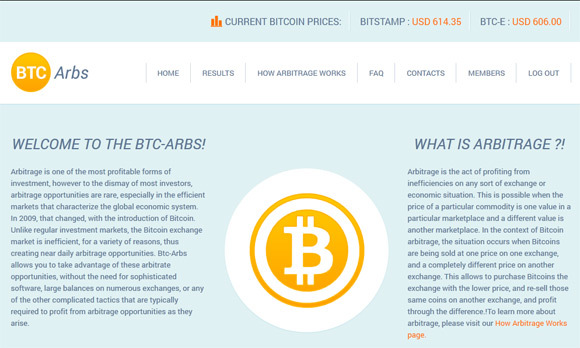 Back in march we have discussed the service BTC Arbs warning users that it is a Ponzi scheme as it offers way too high return of investment in very short period of time. This is the way hat Ponzi schemes work – attract people to invest money (or coins) promising them to have high profit in no time, but in the end most if not all of the investors end up losing money. Aside from BTC Arbs back then we have warned you about a few more websites that are most likely Ponzi schemes as well and to be careful with them, one of these sites was Bitcoin Trader. It is interesting to note that out of 9 websites in total we listed back then currently just 1 is still operational, but who knows for how long this will continue. There are however many more new ones trying to get away with your money giving you promises for high profit, so as we repeating our warning to be careful with websites that offer you something that is just too good to be true, as most of the times it actually is. At the moment the website is no longer available, so we can clearly confirm that this was a Ponzi scheme as well. The excuse of getting hacked and all of their Bitcoins stolen we’ve seen a lot already, even MtGox went this way, though they were not originally an investment type of scam, but a crypto currency exchange. The interesting thing we have observed as a result of our warnings was that even though we have pointed out that some websites are most likely a Ponzi scheme there were people still registering and using them despite reading our warnings. It is true that with some Ponzi schemes or high-yield investment program (HYIP) you can make some money if you are fast to get in and then get out as they usually pay out initially to attract more users, however it is very risky and you will be making money at the expense of other investors in the end. A word of warning, if an investment service of any kind offers you to make more than 10% on a yearly basis then you should normally consider it a risky investment. If a service offers you something like 5-10% return on a monthly basis, not to mention when they promise you such high daily returns, then you should be aware that it is most likely a Ponzi scheme, so be very careful with these as in the end you will most likely lose money than make profit.